Hey there SixPrizes readers! So much has happened since the last time we’ve talked. With the addition of Lost Thunder, it was unclear on how the Standard meta would be affected. What new decks would rise to the top and claim the spot as BDIF? At LAIC, we saw Zoroark-GX/ Control—one of my favorite archetypes as well as a list I helped create—take the win. The reason this deck was so powerful, specifically at LAIC, is because it was able to take advantage of an unknown meta. When the community is so strung up on trying to predict what decks will be popular and what archetypes are most powerful, they often forget to create their list in a way that they are able to deal with even a small amount of board state displacement. This gave ZoroControl the meta position it needed to bring it home. Going into Roanoke, we knew that we had to find a deck that was both powerful enough to deal with the current powerhouses such as Blacephalon-GX and Zoroark-GX/ Ninetales-GX/ Decidueye-GX and controlling enough to respond to repeated board disruptions while still taking KOs. It quickly became clear that Gardevoir-GX was the answer. The deck has an outrageous amount of HP and potential damage output which allows it to easily deal with single-prize attacker decks. Gardevoir-GX also has Twilight-GX which often is enough to just outright beat any control variant due to the flood of resources that go back into the deck. Control variants essentially have to remove all of the energy/Guzmas from the Gardevoir player twice. When we consider this, along with the spicy 1-0-1 Solgaleo- GX and the endless amount of energy recovery that provides, going against control variants becomes a breeze. With its raw power and recovery ability, I might even claim that going forward, Gardevoir-GX could be our new BDIF in the Standard format. Now that we have a bit better understanding of our current meta and why it is how it is, let’s get into the deck. At first glance, this basic line seems a bit thin, however, in game it works out very well. Ditto acts as a 4th and 3rd count for all of these basic Pokémon which allows you to be very greedy with your counts. We play 3 Ralts so that they are able to stick to the board more easily in the scenario that our opponent attempts to target them down. There are really two first turn board states that are optimal depending on how our opponent is playing the game. If you think there is no threat of a Guzma KO on any of your pokemon, then you want to avoid benching Ditto early and just go for a Vulpix in the active position with a Ralts and two Mudkip on the bench. If you think that your opponent can possibly KO your, Vulpix then prioritize having a 2nd Vulpix or Ditto over the 2nd Mudkip. This set up allows for the most powerful turn two because it allows you to get out multiple Swamperts and really burn through your deck to find the cards that you need. The other scenario is the one where our opponents decide to go for early and aggressive Guzma KOs on our Pokémon instead of focusing on developing their own board state. In this scenario, you want a board state that has Vulpix in the active, with a Ralts, Mudkip, and Ditto ♢ on the bench. This way, you can just evolve the Ditto* into whichever stage 1 corresponds to the basic your opponents kills. If they kill Mudkip, then Ditto becomes a Marshtomp, etc. This will allow you to develop your board no matter how aggressive your opponent is capable of being. When I first saw this deck concept, I was skeptical of this addition, but once I played a few games, I realized just how much power it provided to the deck. To the very least, Solgaleo acts like Weavile did in the BuzzShrine deck from Philadelphia Regionals. Whenever you bench the Cosmog, your opponent freaks out and prioritizes killing that over anything else, which relieves a lot of pressure on your attacking Gardevoir. If your opponent opts to just ignore it, then it very easily becomes the monstrous Solgaleo-GX which just provides so much value to the way the deck plays. A frequent play that I made during Roanoke Regionals was creating a pretty large Gardevoir that takes an OHKO. My opponent then took the opportunity to hit into the Gardevoir and try to set up the 2-shot so I lose all of my resources. I then would simply retreat my Gardevoir, use Ninetales’ Mysterious Guidance to grab a Rare Candy and a Max Potion, Max Potion the damage from Gardevoir-GX, Rare Candy my Cosmog into Solgaleo, and use Solgaleo-GX’s attack to put the energies back on the healed Gardevoir-GX. This is a fairly simple combo to pull off considering it only takes a Double Colorless Energy, a Solgaleo-GX, and a Ninetales-GX, and it is a combo that can easily checkmate most gamestates. We definitely need four draw supporters for the deck to be able to consistently make it through the first three turns of the game. Past that, we do not really need consistent draw supporters. Hopefully, we can get 1-2 Swamperts in play fairly quickly which allows us to be very greedy on this minimal supporter count. The one of Lillie is really just in the deck to be a strong counter to your opponent’s turn 1 Marshadow’s Let Loose. It allows for you to have a strong recovery hand with just a single ultra ball for Tapu Lele-GX while having little loss for the rare occasions that said Lillie would be better used as a Cynthia in early game setups. Also, let’s assume that you have a rare candy in your hand and are searching for the Swampert to evolve your benched Mudkip. In these scenarios, playing Lillie for 5 is actually more reliable than playing Cynthia for 6 because then we just need to find a single card out of five random cards instead of finding two cards out of six random cards. Max Potion is honestly one of the main reasons this deck is so powerful. Max Potion allows you to take a single Gardevoir and have it take all six Prize Cards in a game. There are very few things in our current meta that can OHKO a Gardevoir-GX, so you can constantly pressure your opponent by attacking them with a Gardevoir-GX, Max Potioning away any damage done to it, then attacking again. Between the two Max Potion and Twilight-GX, we can completely heal our Gardevoir-GX four times within a game. 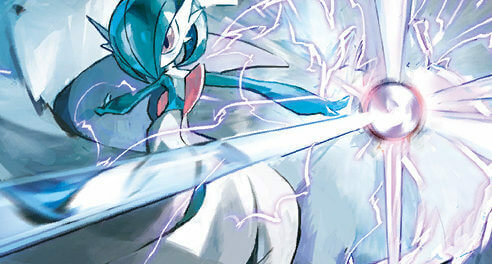 Theoretically, this means that at best, our opponents would have to five-shot our Gardevoir-GX. Obviously, games often do play out in this way, but the concept is still there and is very applicable to certain scenarios on a smaller scale. I included Super Boost Energy with Max Potion just because of how often they are used in combo with each other. We want to create a Gardevoir-GX with a lot of energy—think two Double Colorless Energy and a Fairy Energy—and take a OHKO against our opponent. In an attempt to stop a repeated OHKO our opponent will hit into our Gardevoir-GX, so that we are either forced to Max Potion to keep it alive or take a KO but let it get return KOed. Super Boost Energy acts as a great work around for this exact scenario. Given our consistency in ability to set up Stage 2 pokemon, Super Boost Energy quickly becomes active. We can really take our opponents by surprise by Max Potioning away all of our energy only to replace all of them with a single Super Boost Energy. For example, it only takes a single Fairy Energy or Choice Band, and Super Boost Energy to OHKO a Zoroark-GX with a Double Colorless Energy on it. With well timed Max Potions and energy attachments, Gardevoir-GX easily can run away with the game. These two cards are very frequent targets for Ninetales’ Mysterious Guidance, especially in the early game set up. When we are looking at our hand and board state on our 2nd turn we are looking for three things: a Rare Candy, a Stage 2 Pokémon to evolve into, and an energy to attach. Often, we have 1-2 of these things, so we just use Ninetales-GX to grab the missing pieces. Timer Ball and Energy Lotto act as a medium for us to obtain those pieces through Mysterious Guidance. This is another card that when just thinking about the deck, I was not a huge fan of, but quickly found how much value it brought to your set up. Brooklet Hill allows for you to consistently strengthen your search and draw potential as you play the game because you can pull out your Mudkips and Vulpixes through multiple turns. This provide a lot more value than something like a Nest Ball would. 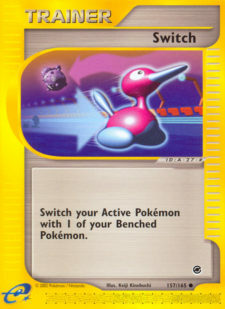 Brooklet Hill also has the additional effect of being a counter Stadium — a necessary tool to combat the popular Shrine of Punishment decks. Brooklet Hill is definitely the strongest Stadium to play in this deck given our current Meta. Pokemon ParadijsI think a single Switch could bring a lot of value to the deck. It would open up a lot of potential plays to buy yourself a turn. For example, say you missed a crucial piece of a combo to take a KO. You could simply retreat into Swampert since it is very hard to kill as a non-GX with 160 HP and Brooklet Hill out a Vulpix. The very next turn you could Alolan Ninetales-GX Mysterious Guidance to find a Switch and Max Potion, to completely reset the board state back to how it was originally and buy yourself a turn. Due to this deck’s unique ability to search out one-of Item cards, it could add a lot more flexibility to your gameplay. For a lot of the same reason that Switch is effective, a one-of Counter Catcher might also be effective. You can easily search it out of the deck with Ninetales-GX’s Mysterious Guidance. Often your initial Vulpix gets KOed after you use it to set up your board state with beacon. You then follow up that Vulpix with another Vulpix that has been evolved into a Ninetales-GX with two fairy energy attached. You can use this single prize deficit to your advantage by grabbing the Counter Catcher with Mysterious Guidance and pressuring your opponents set up with KOs on whatever support Pokémon your opponent may have. I actually really regret not running this card in my list at Roanoke Regionals. The primary reason is because Muk shuts off Hoopa’s Scoundrel Guard. I quickly found out that the current list has a very hard time against a board of just two Hoopa with some amount of energy removal. Playing a single Muk and using the Ditto to evolve into Muk would have essentially given me an auto win against any of the Hoopa/Control variants. Muk also gives you a much easier time against matchups like Granbull that are heavily reliant on Oranguru’s Instruct. Muk would be a great addition to the deck to really catch your opponents off guard. The mirror match is actually quite fun to play and requires a lot of skill and clever maneuvering. The most important thing by far is setting up your Solgaleo-GX. He both one shots Gardevoir-GX as well as prevents your own Gardevoir-GXes from being one shot by Solgaleo-GX. If you prized a piece of the Solgaleo-GX, to be frank, you should just scoop that match and go to Game 2. You actually want to set him up and then attempt to use him to quickly set up a big Gardevoir-GX with his energy acceleration. Attaching a Choice Band to the Solgaleo-GX sets up the two shot on opposing Solgaleo-GXs so it forces your opponent to have the Max Potion and Double Colorless Energy. After you have the Solgaleo online, you want to prioritize setting up multiple Swamperts so that you can easily find the energy and the eventual Super Boost Energy first. Super Boost is extremely important in this matchup because it is crucial to OHKOing your opponents Solgaleo-GX with Infinite Force. So truly, the game is a race to see who can set up a Gardevoir-GX that can OHKO the Solgaleo-GX first without overextending so much to the point that their Gardevoir-GX can be Guzma KOed by a Gardevoir-GX. Set up Solgaleo-GX and Swampert quickly, create multiple attacking targets, and use Swampert’s attack to throw off the prize exchange to take this victory. This matchup feels like such a race with the Gardevoir player at the advantage—or, I should say, the Swampert/Ninetales-GX player. Swampert and Ninetales are key to victory here. You actually can completely forego benching a Ralts early to prioritize getting down multiple Mudkip and Vulpix. Whenever you find a Choice Band, attach it to your Mudkip immediately. This way, you can attach a Double Colorless Energy and a Fairy Energy to Swampert and swing into Blacephalon-GXes for 110 x2 =220 OHKO. A Super Boost Energy on a Swampert also gets the job done with ease hitting for 320 damage without a Choice Band. The gameplan is really to do this twice with two Swamperts and end the game with a Ninetales-GX Sublimation-GX. The matchup seems simple enough right? The only issue is that Blacephalon is way faster and more consistent than you are. So, sometimes they can sneak two prizes off of you before you even take your first KO. This gets especially tricky if that first KO has to be with a Sublimation-GX, meaning they get to take another two prizes off of your Ninetales-GX. Usually, things won’t get to this point because the deck is fairly consistent. If it does however, pressure them with repeated OHKOs and make them have the Beast Rings and Guzmas to win the game. A lot of times, they will not, and you will win with ease. Solgaleo-GX is actually the key to victory in this matchup. If you are able to get him going on turn 2 or 3, then you instantly become very favorable to win. The problem Lost March has is that they are not able to reach 250 damage OHKOs without a lot of turns to find the Pokémon they need. So you can just grab both of the Max Potions out of your deck and take 4 Prize cards before they get a single knock out. Lost March is also really slowed down by just killing a Hoppip early in the game with a Guzma, Tapu Lele-GX and a Double Colorless Energy. This means they will have two less Pokémon in the Lost Zone and 40 less damage output per turn. Ninetales-GX can also be a brilliant attacker in the matchup early on because he is able to OHKO Jumpluffs while pressuring the bench KO on things like Hoppip and Natus. Use your naturally high HP and Max Potions to punish your opponent and make them have to draw well for OHKOs. This is one of Gardevoir-GX’s best matchups simply because of the insane OHKO potential that you can set yourself up for. In nature, both of these decks have very similar set up potential through having “Trade-like” abilities and Mysterious Guidance to set up Beefy Stage 2 Pokémon. The only difference is that Gardevoir-GX definitely can take repeated OHKOs at a certain point in the game, while Zoroark-GX really struggles to get close to an OHKO. Because of Gardevoir-GX’s resistance to dark-type Pokémon, a Gardevoir must have 100 damage on it already to be OHKOed by a full bench, Choice Banded Riotous Beating. Thats 5 feather arrows. Gardevoir-GX, on the other hand, only need a Super Boost Energy, and a Fairy Energy or a Choice Band to OHKO a Zoroark-GX with a Double Colorless Energy. If that OHKO ever happens and there is no damage on the Gardevoir-GX, then it’s essentially game over because Zoroark has no way to immediately deal with the threat. To make matters worse, Solgaleo-GX can use his first attack to OHKO the Ninetales-GX sitting on the bench of the Zoroark-GX player. This gives the Gardevoir-GX player 2 Prize Cards and two fairy energies to start powering up the big Gardevoir-GX that is crucial to the matchup. That is all I have for you guys today! Thank you so much for reading through this article, and I hope you’ve learned something valuable from it to incorporate into your gameplay. I ended up finishing top 64 at Roanoke Regionals with the list at the beginning of the article, and my good friend and SixPrizes peer Jimmy Pendarvis ended up winning the whole event with the same 60. I think the deck is extremely powerful going forward and is a really strong, fairly consistent play going into Q2 League Cups. I know I will be strongly considering it for any Standard Cup I may attend. So far, this year has been more than great for me, especially being my first year of achieving the Top 16 NA Stipend so I will be seeing you guys in Australia! The next major event for me is Anaheim Regionals which is an Expanded event. I will make sure my next article, which is before Anaheim Regionals, will cover what I have learned in my Eepanded testing in between now and then so be sure to look out for that. Until next time, good luck at your League Cups and good luck at whatever future event you may attend!